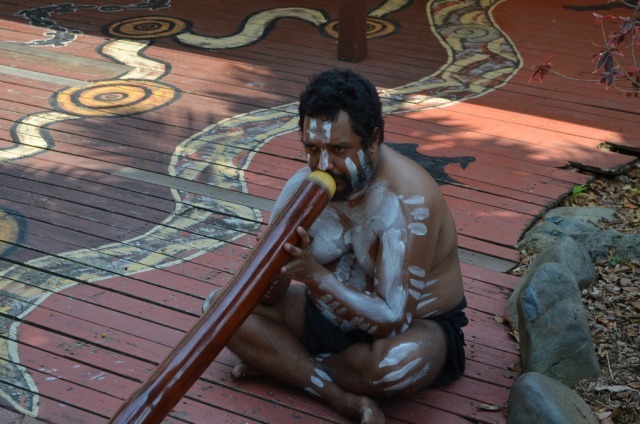 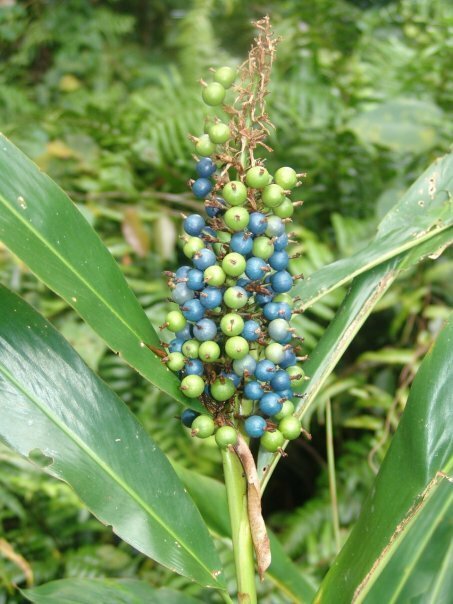 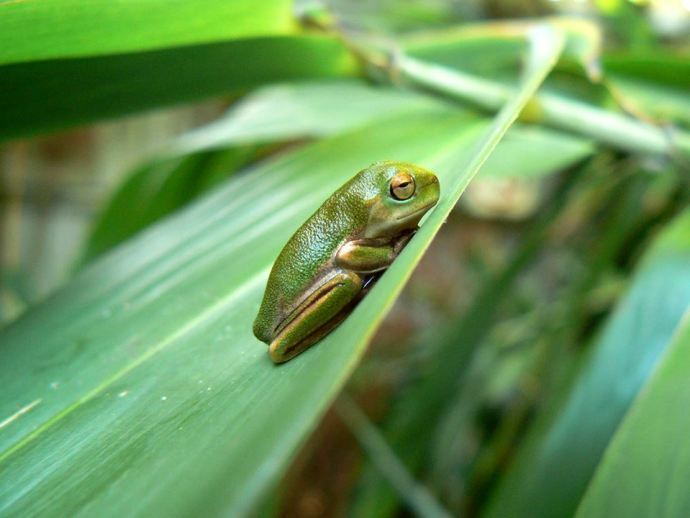 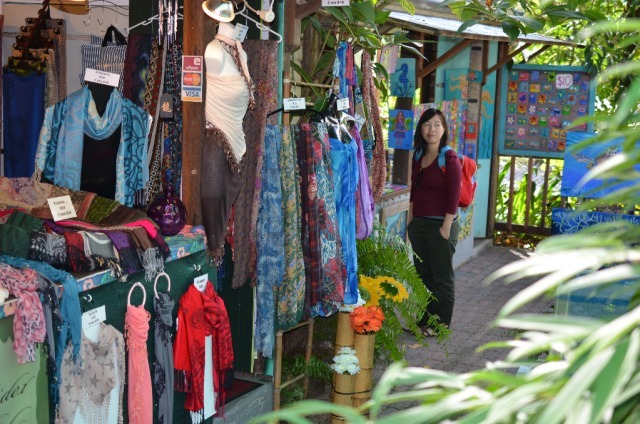 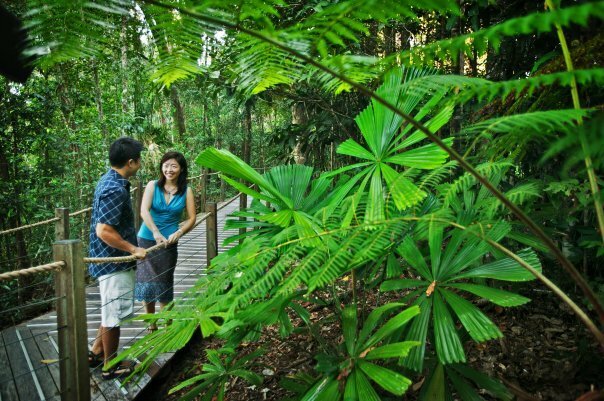 Combine a trip to Green Island and Skyrail – a rainforest gondola journey – all in one day. 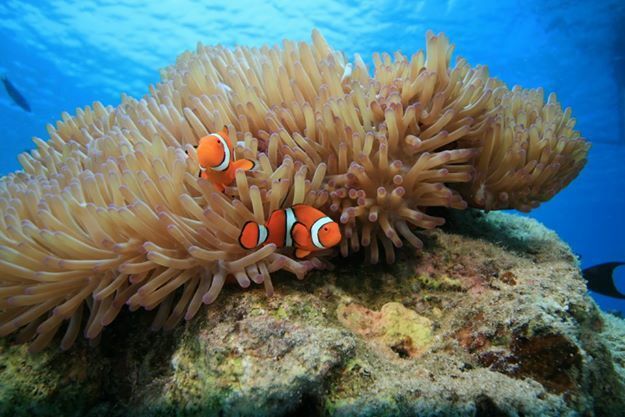 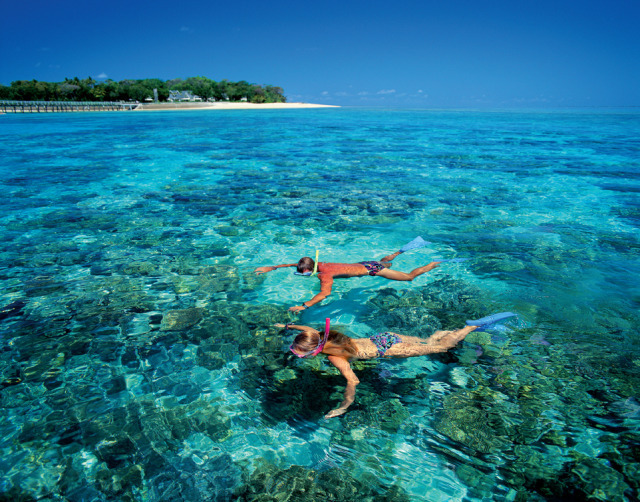 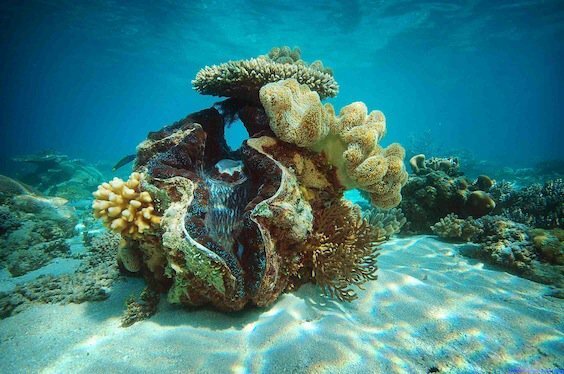 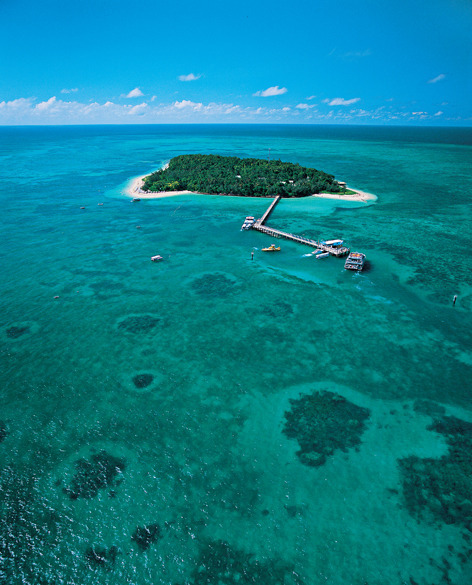 Green Island is a beautiful coral cay on Australia’s Great Barrier Reef. 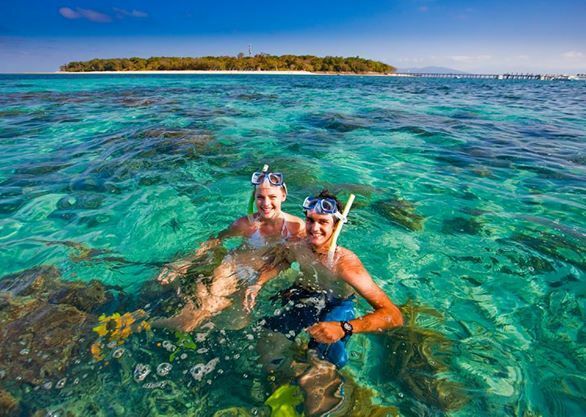 Green Island is a Marine National Park uniquely rainforested and surrounded by white sandy beaches and magnificent coral reefs and abundant marine life. 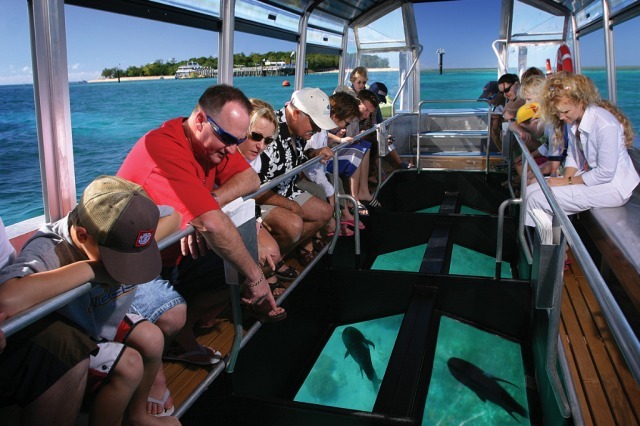 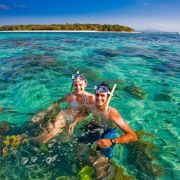 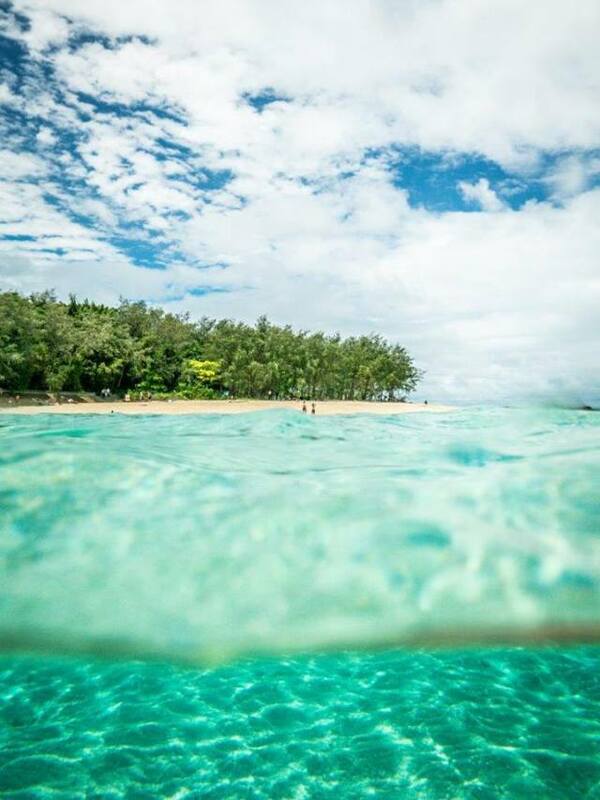 Your visit to allows you 2 hours at Green Island and included is the choice of snorkelling gear or a glass bottom boat tour. 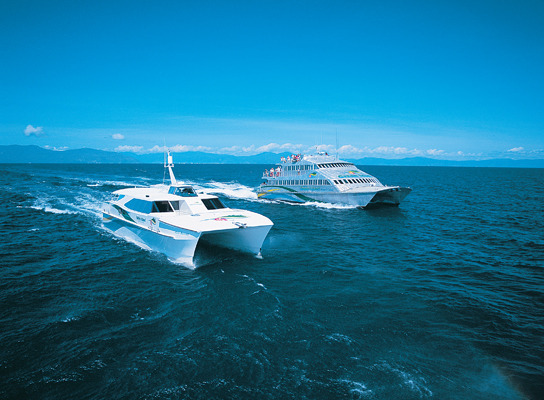 “Reef Rocket” is a modern comfortable air-conditioned high-speed catamaran with a relaxed atmosphere. 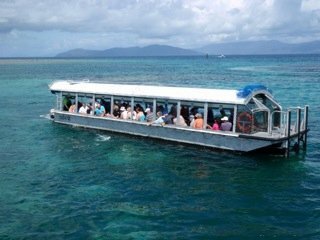 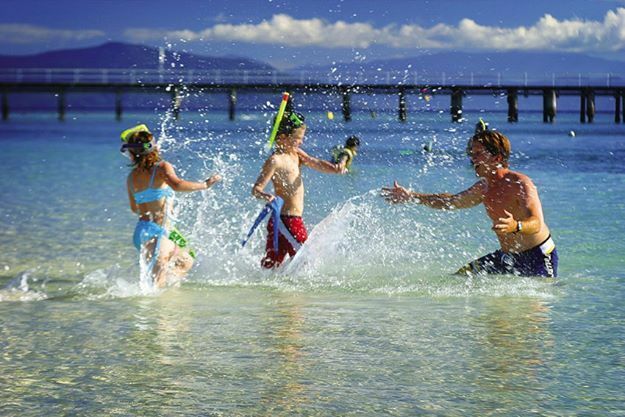 Travel time to Green Island is 45 minutes from Cairns. 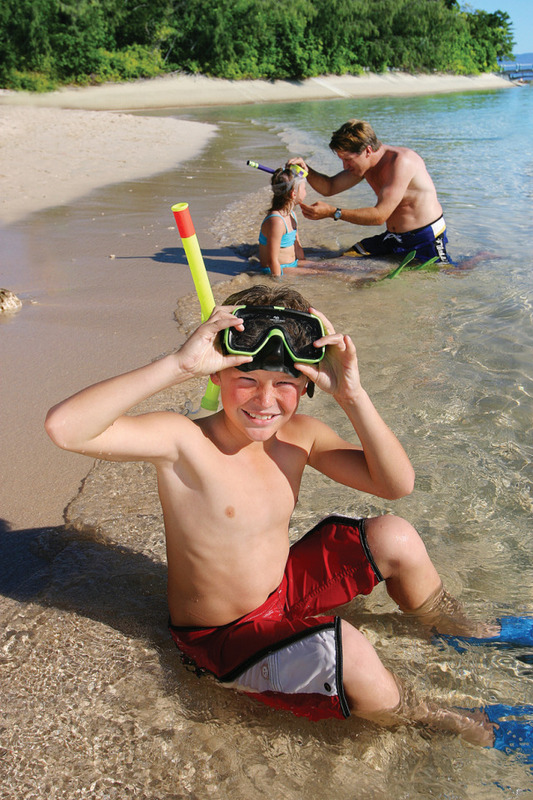 Passengers can take part in the many activities available or simply relax on the beach. 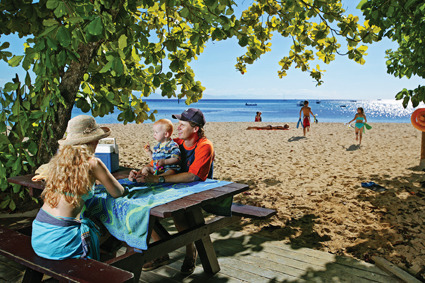 The crew will help you to organise your activities to make the most of your time on Green Island. 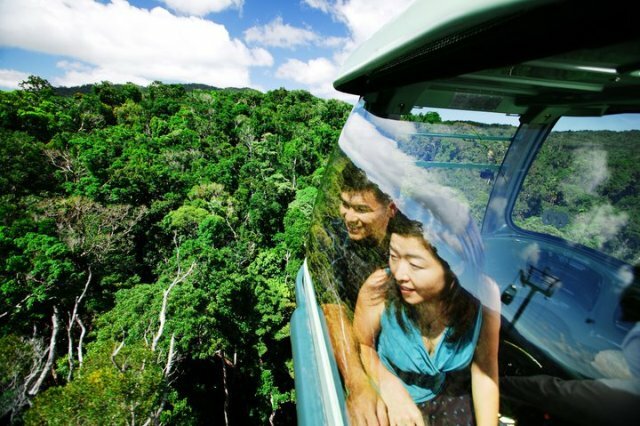 Skyrail is a unique rainforest experience taking you on an unforgettable journey over Australia’s World Heritage listed Tropical Rainforest and deep into the forest. 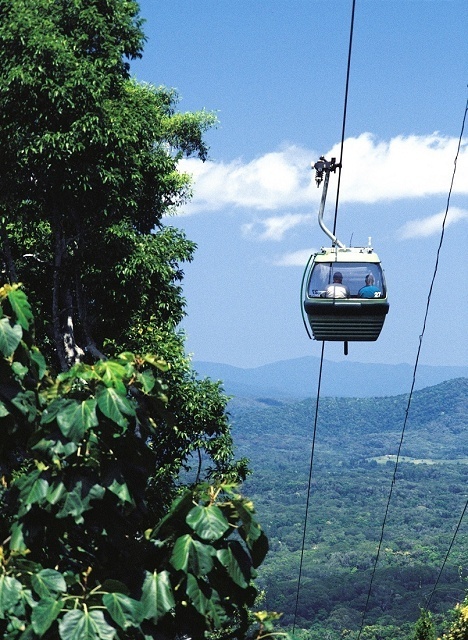 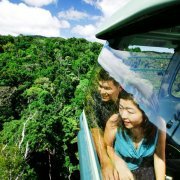 Guests glide just metres above the canopy in Skyrail’s comfortable six-person gondola cabins which provide spectacular and uninterrupted views of the rainforest, tropical Cairns, the Coral Sea and the lush Cairns Highlands. 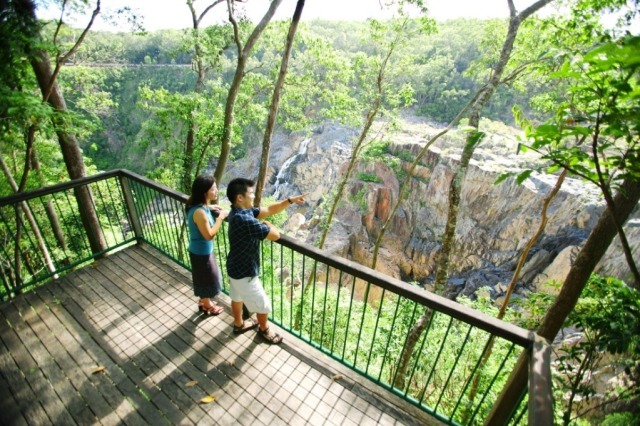 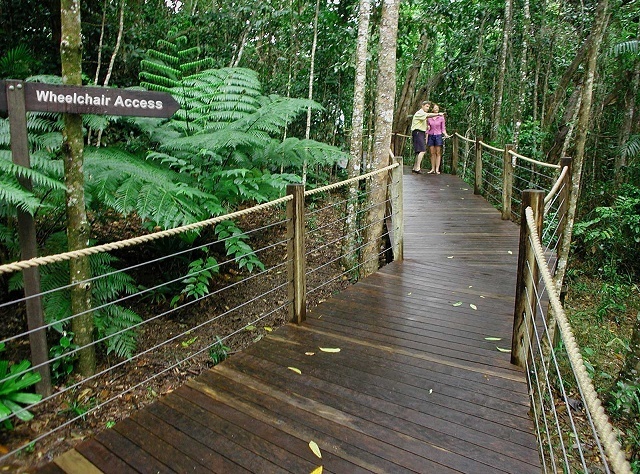 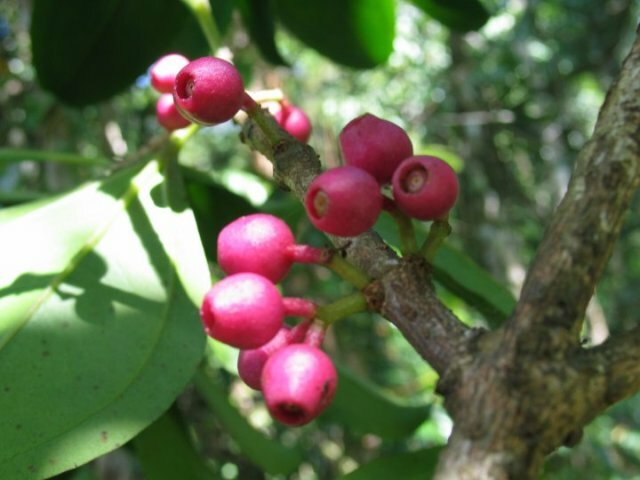 The Skyrail experience, spanning 7.5kms, includes time at two rainforest mid-stations where guests can alight from the cableway to learn more about this fascinating environment on Ranger guided boardwalk tours and at the Rainforest Interpretation Centre.